1. Mediation is cheaper than normal litigation. In other words they are cost efficient. On the other hand, general litigation is comparatively quite an expensive procedure. 2. A benefit of mediation process is that all discussion takes place behind closed doors. The whole procedure is kept confidential. No third party is allowed to know about the final decision taken. 3. No favoritism or nepotism of any sorts is followed in the mediation procedure. The view points of both the parties are taken into consideration before the passing of the final decision. 4. 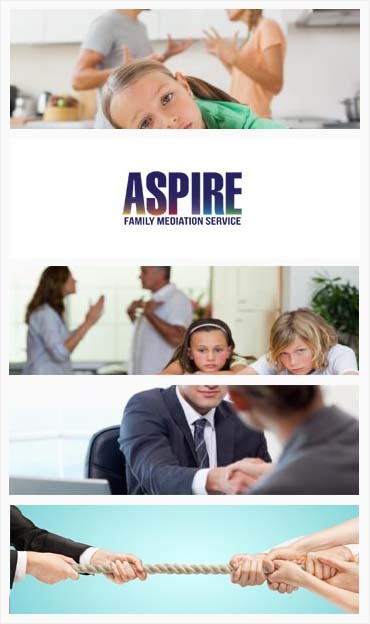 Mediation service is quicker and hence less stressful. This makes mediation more viable than normal litigation. 1. Do tell them that it’s an adult issue and it’s not their fault. Empathize and give the moral support they require. 2. Tell them about the importance of family and no matter what they will always be loved as before. 3. Do see through the fact that the future of the child is secured and his or her studies are not hampered in anyway. This is the reason, mediation is a better option because the time involved is less and this saves time and money involved. This means the academic year of the child does not suffer in any way. During the mutual separation process the parents decide upon how they want to share the custody of the children. They have to decide upon what time of the week the child will live with each parent. This is known as ‘shared care’. According to experts ‘shared care ‘works well when the parents live next to each other. After deciding upon the ‘shared care’, the couples have to decide upon how both them will manage the finances of the children. This is called child support or child maintenance. Both the parents are liable to pay for the maintenance of the children until they reach adulthood.